Although it was been hard to concentrate because of the sirens and the news, I've had quite a few books to keep me occupied while I sat in my bomb shelter. A big thank you to the folks at Koren Publishers/Maggid Books. The fifth and final book in the Torah Lights Series by Rabbi Shlomo Riksin was published just in time to read along with the weekly portion of the book of Deuteronomy or Devarim. The subtitle for this volume is "Moses Bequeaths Legacy, History, and Covenant," and it emphasizes Moses' role as he addresses the Jewish nation for the final time, reminds them of the laws and ordinances, and prepares them to enter the Land promised to them by God. Each essay analyzes a verses or verses from the weekly reading. There are quite a few essays for each parsha, sometimes analyzing the same verse from a different perspective. Although not noted, it seems these commentaries have been published previously. In almost everyone, Rabbi Riskin mentions Rabbi Joseph B. Soleveitchik, zt"l, as his rebbe and mentor. For Parsha Eikev, there are several essays about the importance of saying Grace After Meals, based on the verse, "And you shall eat and be satisfied and bless the Lord your God for the good land which he has given you" (Deuteronomy 8:10). Rabbi Riskin explores why it is so important to thank God for bread. 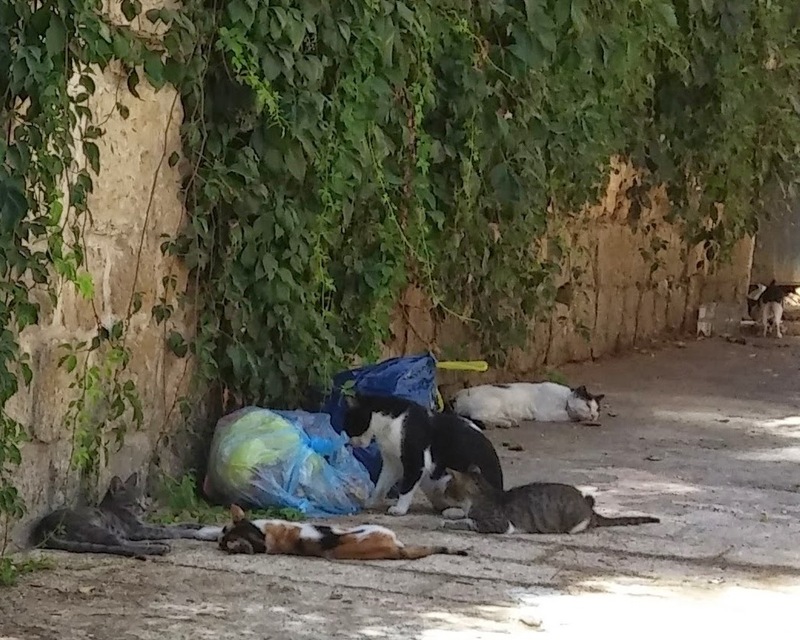 We see that if there is human involvement, the human look upon his own efforts and not fully appreciate the part that God played in bringing food to the table. "The more the individual is involved, the greater the sanctity and the higher the praise. God is constantly in search of humans to be His partners in perfecting the world and thereby to bless Him." Speaking of Rav Soloveitchik, zt"l, the Rav was rebbe and mentor to many. One of the biggest challenges of Tisha B'Av is maintaining the atmosphere of mourning throughout the day. It is hard to fully grasp the lost of the Temple because there hasn't been a temple in our times (yet!!!). There is also a prohibition against Torah learning on this solemn day. One way to understand this loss and learn something in the process is by using the Koren Mesorat HaRav Kinot (the Lookstein Edition). The commentaries explain the poetry and allusions clearly, pointing out the intricate and disciplined structures. The liturgical poems are put into context with the information about the authors and their backgrounds. I can't say it was an enjoyable read, but it is definitely an informative read that made Tisha B'Av more meaningful. 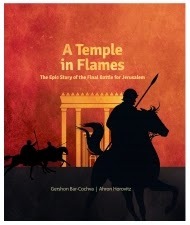 A Temple in Flames: The Epic Story of the Final Battle for Jerusalem is also from Maggid Books and also appropriate Tisha B'Av reading. It was recently published in cooperation with Megalim: City of David Institute for Jerusalem Studies. It is authored by Gershon Bar-Cochva and Ahron Horovitz, and is "based mainly on the descriptions of Josephus Flavius, who was an eyewitness to the fighting from the Roman side." This is my favorite kind of non-fiction book. First of all, the author's passion for the subject matter is evident throughout the pages. These pages are filled with maps, time lines, pictures of coins, Roman salary slips and other artifacts, and detailed illustrations of Jerusalem and the battles. There are so many points of interest in the book: political history, archaeology, Israel, military tactics and weaponry, that almost everyone will want to take a look at this book -- some to browse, others to read in detail. For those of us in Israel, it is amazingly cool to see the actual sites mentioned in the book and walk the same pathways. Sometimes a title sparks your interest, and such was the case with Relics for the Present: Contemporary Reflections on the Talmud by Rabbi Levi Cooper (Maggid, 2012). "This work explores the world of the sages, seeking relevance in the timeless texts of the Talmud. Each section analyses a passage from Berakhot, the first tractate of the Talmud, chapters one to five, presenting the commentators' insights, searching for meaning and hoping to provide inspiration for our generation." This is neither a quick read, nor a page turner, but Rabbi Cooper's analysis makes the arguments of the Talmud more accessible for the rest of us. Why in Jewish law does the day begin at night? "Improving our society can be achieved only by a combination of the roaring of the lion and the cooing of the dove -- by public proclamation and by private inculcation." And in these turbulent times, an essay about "War as a solution, diversion or catalyst" revealed how timeless our sacred writings truly are. Bonus points for a list of sources cited that includes when and where the authors lived. Coming soon: a biography of Ovadia Yosef and a book about Holistic Prayer.